One of the most difficult aspects of surviving a trauma is being robbed of the sense of safety we otherwise tend to take for granted. It’s the general feeling most of us have that there is nothing imminent to fear lurking ahead of us at any moment. Usually trauma victims have lost this feeling and find it hard to recover, even when they are now actually what would be considered safe. 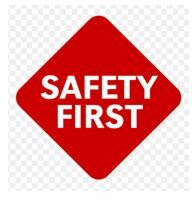 Making sure you are actually safe is a pre- requisite to even beginning to reclaim a sense of safety. If the traumatic situation is current and on-going it is senseless to attempt to feel safe, because you are not. Being safe means that you are reasonably assured the trauma that befell you is at an end and is unlikely to occur again. In other words, it’s over. If, for example, a person has been violently raped or abused, it means knowing the perpetrator is and will no longer be in that person’s life and that he or she knows how to protect themselves from future attacks. If a person has been victim of a traumatizing natural disaster, it is knowing they are no longer in the disaster area. If someone was a victim of a home invasion, it’s knowing that the home is now located or sufficiently fortified to be as safe as possible. But being safe is not the same as feeling safe. These two don’t even occur in the same part of the brain. Feeling safe is not about what is reasonable. It is an emotion that the traumatized person believes is warranted and has a thought structure to prove they are not safe. A person who has experienced a life-threatening trauma to themselves or loved ones suffers physically and psychologically afterwards. They have terrifying memories and strong, painful feelings of a fear, anxiety, panic, helplessness, insomnia, vulnerability and intense anger. They may have flashbacks where they actually re-live the trauma as it if is happening all over again right then. They likely suffer from insomnia, nightmares, irritability or difficulty concentrating. They may also feel ashamed or embarrassed by their seemingly out of control feelings, especially if family and friends keep trying to cheer them up or expect them “get over it.” They may even be blamed for not having avoided or done more in the face of the trauma. They might agree with this thinking, “If only I had … or if only I hadn’t …” and torture themselves with guilt. This may lead them to isolate themselves from others and the world. Is it any wonder the trauma survivor doesn’t feel safe? Trauma Can Actual Change the Brain. Trauma super charges the primitive survival-oriented parts of their brain and it remain super-charged even after the trauma is over. Anything that triggers a memory of the trauma activates the part of the brain whose job it is to be on the alert for danger. This part of the brain is always on the job for us, but after a trauma it is on hyper-alert, assuming that danger awaits everywhere. At even the slightest reminder or indication of possible danger it instantly sends out a “broadcast” to the rest of the brain and therefore the body is ready to fight, flee or freeze. In other words, the body reacts to such stimuli as if there is a continuing threat causing the trauma survivor to over react or shut down. For example, a 65 year-old client came to me after having a severe heart-attack that required open-heart surgery followed soon after by a stroke. He was in the ICU for a considerable time and came close to death more than once. These traumas left him unable to do many of the vigorous activities he had previously loved and excelled at. 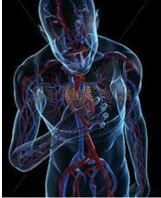 He had become depressed and anxious, afraid to do much of anything for fear of another heart attack or stroke. 1) Fortifying oneself to be able to remember, understand and express what happened during the trauma without re-wounding yourself and making matters worse. One of the recommended ways to do this is called exposure therapy. Simplistically put it means you are to re-live the trauma as you describe it over and over until, in theory, you go over it so often that the symptoms cease (extinguish). Even though this is supposedly an evidence-based approach to treatment, I find it to be too risky psychologically and note that wisely my clients are not willing to undergo it. Instead the survivor can learn to use psychological tools that are provided and practiced in session to fortify yourself to be able to tolerate the feelings of the trauma without losing control of them. It involves moving safely to and from being in the now and returning to the memory of the trauma. This must be done kindly and gently over what may be a several months of weekly counseling, first in session and then on one’s own. Re-wiring the brain is possible but requires time and effort that pays off in restoring one’s sense of safety. Since the primitive brain originates many negative, harmful thoughts, being able to express and evaluate them in a safe, non-judgmental environment without fear of re-wounding enables you to correct this type of faulty thinking and puts survivors back in charge. 3) Challenging and replacing erroneous trauma-based thoughts. Our primitive brain does not differentiate between whether danger signals originate from our thoughts or an external source. This means that thoughts based on feelings can continue to fuel the body sensations the primitive brain sends out when perceiving possible danger. This part of the work involves learning to use our higher brain functions to recognize that thoughts are just thoughts and that we need not believe them as real without investigation. To do this our high brain functions collaborate with the primitive brain to evaluate Automatic Negative Trauma Thoughts (ANTs) and replace them with realistic ones they both agree are true from both a cognitive and emotional perspective. This is euphemistically called ANT therapy. It has been proven to be highly effective for believing that one is actually safe right now from moment to moment. It begins in counselling sessions using a worksheet that guides you through the process of doing this, first repeatedly in session and then on your own. If you’re struggling with feeling safe again, please call or email me to see if I can help free you from specter of the past.